Aaron Hernandez appeared in court on Feb. 25, 2019. 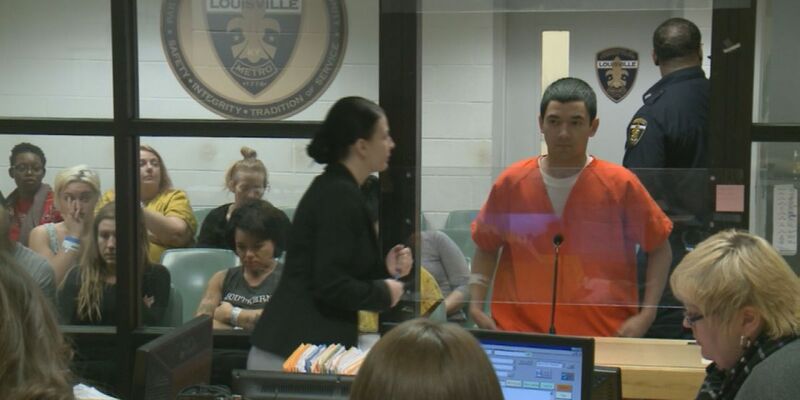 LOUISVILLE, KY (WAVE) - A Louisville man appeared back in court Monday after police said he murdered two men and fled to Texas. Aaron Hernandez, 23, was charged in the murders of Joshua Rice and David Kandelaki. On Jan. 18, 2018, police found Rice and Kandelaki dead inside an apartment on Abigail Drive after a welfare check. One of the men was in a three year intimate relationship with Hernandez, that ended weeks before the deadly shooting, according to police. At the time of the shooting, police said both victims were dating. One of the victims had taken out a protective order against Hernandez after their break-up and said he was fearful of Hernandez and his actions. Police found shells casings inside the apartment, but no handgun. During the investigation, LMPD found Hernandez withdrew a large amount of money from his bank account, abandoned his vehicle and canceled his car insurance, according to court documents. Hernandez was in court Monday morning, faced with two murder charges, domestic violence, tampering with physical evidence and burglary charges. His bond remains at $1 million. He is scheduled to appear in court again March 7.